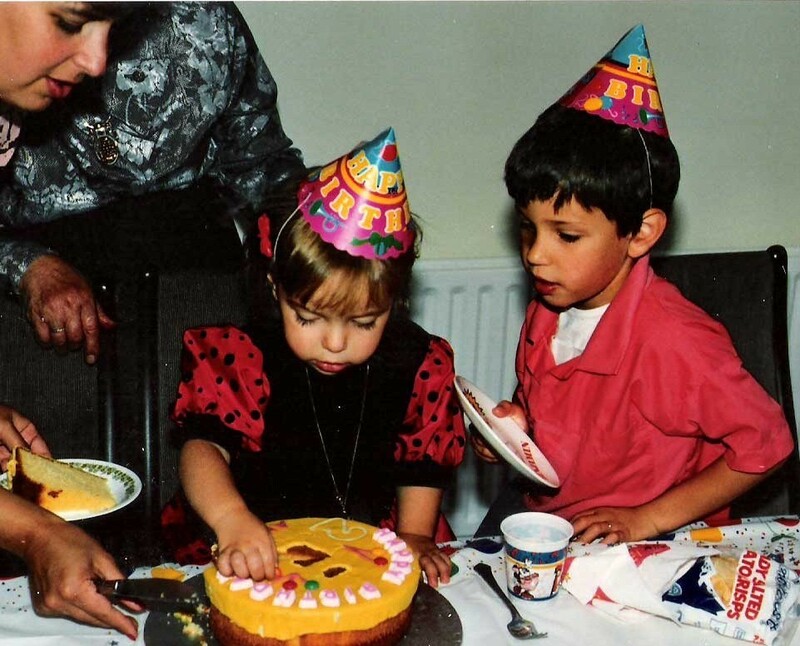 Here, we are, birthday number two, I - just a small innocent child. And what does my mother do? SHE MAKES THE SAME CAKE! 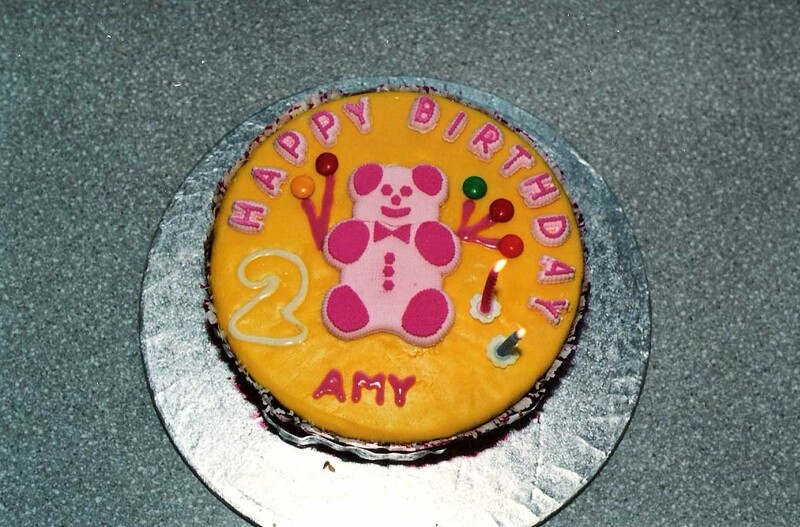 That's right, this one has an awful similarity to my first birthday, does it not? Scroll down. Scroll back up. Nod in agreement. Well, at least this one has my name on it. Well, I still seemed to appreciate the m&m balloons. So much that I had to pry them off the cake. Although perhaps I just had to get to them because of that troublesome-looking fellow next to me. I have a feeling he may have had his eye on my m&ms. Well, he's been bugging me ever since. Tomorrow: my third birthday! THE WORST OF ALL. And then it gets much better. is this all leading up to your birthday next week? because if so, you're going to need to step it up...WOOHOO AMY'S BIRTHDAY! and fasting. How fun is this?! Too bad she made the same cake, but at least she made you a cake, right? Can't wait to see the next one!